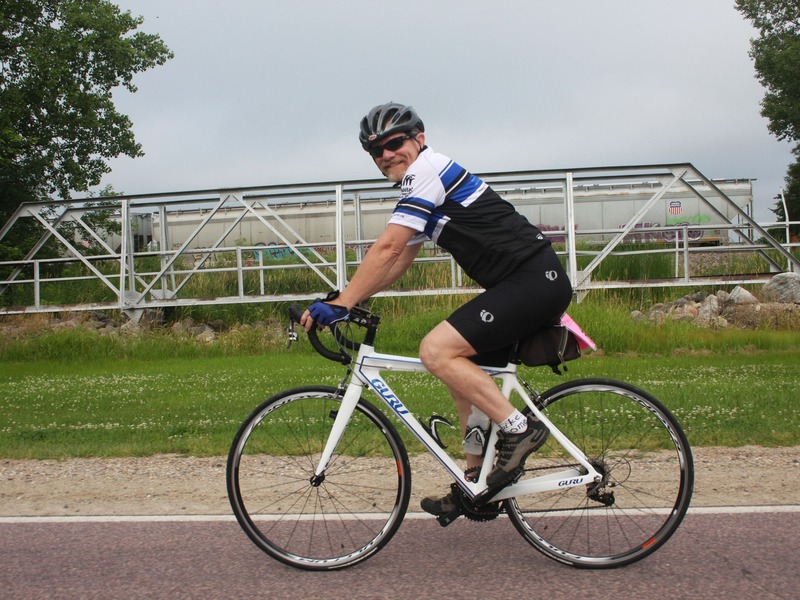 August 5, 2015 | 8:15 a.m.
Paul Reasoner, professor of philosophy, rides in the Habitat for Humanity 500 Bike Ride, raising support for the organization. The 23rd Habitat 500 Bike Ride began on July 12 with 120 cyclists and 33 volunteers starting their 500-mile trek through southern Minnesota. Starting in Owatonna, the ride went through Albert Lea, Spring Valley, and Winona, before making a brief stop in La Crosse, Wisconsin. The ride continued back through Spring Valley and Kasson, ending in Owatonna on July 18. The event was hosted by Habitat for Humanity of Minnesota (HFH-MN) and helped to raise money for providing simple, decent, and affordable housing for families in need. Riders saw the impact of the money raised by the Habitat 500 firsthand when they stopped in the community with the yearly project, sponsored and constructed by the riders. This year, riders had the option of working on the project in Winona. The build gives riders an opportunity to see their efforts making a true difference in the lives of the soon-to-be homeowners. Paul Reasoner, professor of philosophy, who joined the ride for a 10th year, describes these homes as "a very significant change factor for good" in the lives of the homeowners. Originally pushed to ride by his son, Joel, Reasoner continues to come back to see the friends he has made, hear the stories of the homeowners, and ride through the beauty of Minnesota. He has definitely taken the mission of Habitat for Humanity to heart. 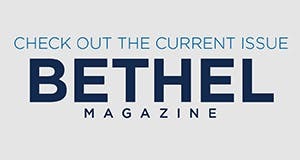 Besides serving as a member of the Habitat 500 Ride Committee, three years ago Reasoner started a Habitat for Humanity project in Cebu, Philippines. The goal is to build homes for the staff at the Children's Shelter of Cebu, an orphanage in the city. In January, Reasoner and Jan Plimpton, executive director of HFH-MN, traveled to Cebu for a ceremony to break ground with the CEO of Habitat for Humanity-Philippines. Local politicians, neighbors, representatives of the Children’s Shelter of Cebu and their employees who will live in the new homes were there to celebrate. Reasoner described the current status of the project: “We have raised about $450,000, land has been purchased, and we are in the final stages of title transfers and other documentation so that actual building can begin. Official building permits should be filed in August. We will be putting up 63 homes. I would never have gotten involved with all this without my participation in the Habitat 500 and the encouragement of Jan Plimpton who is a real partner. I am very grateful to all the generous donors who have contributed to our project so far.” Reasoner was in Cebu earlier this summer, returning in time to participate in the ride that influenced him start it in the first place.